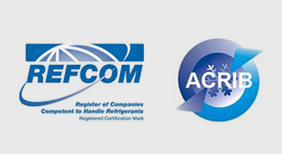 Our website address is: https://firstchoiceaircon.co.uk. By filling in the contact form with their Data, the User authorizes this Application to use these details to reply to requests for information, quotes or any other kind of request as indicated by the form’s header. Personal Data collected: company name, email address, first name, last name and phone number. The services contained in this section enable the Owner to monitor and analyze web traffic and can be used to keep track of User behavior. Google Analytics (Google Inc.) Google Analytics is a web analysis service provided by Google Inc. (“Google”). We do not share data collected via our website, we may however hold this and reference it against your account if you have one. You can request that we erase any personal data we hold about you. This does not include any data we are obliged to keep for administrative, legal, or security purposes.